Fact: Toothpaste with fluoride has been responsible for a significant drop in cavities since 1960. Look for one with the ADA Seal of Acceptance to make sure it contains fluoride. Fluoride helps prevent tooth decay by slowing the breakdown of enamel and speeding up the reminerialization process, the new enamel crystals that form are harder, larger, and more resistant to acid. After teeth erupt, fluoride helps rebuild (remineralize) weakened tooth enamel and reverses early signs of tooth decay. When you brush your teeth with fluoride toothpaste, or use other fluoride dental products, the fluoride is applied to the surface of your teeth. This provides what is called a "topical" benefit. Drink Water with Fluoride. For the past 70 years, fluoride has been added to public water supplies to bring fluoride levels up to the amount necessary to help prevent tooth decay. Community water fluoridation is like drinking milk fortified with Vitamin D or eating bread and cereals enriched with folic acid. Before water fluoridation, children had about three times as many cavities. Studies prove water fluoridation continues to help prevent tooth decay by at least 25% in children and adults, even with fluoride available from other sources, such as toothpaste. Today, almost 75 percent of the U.S.. population is served by fluoridated community water systems. Learn more about water fluoridation. Toothpaste and mouthwashes provide higher concentrations over shorter periods of time. 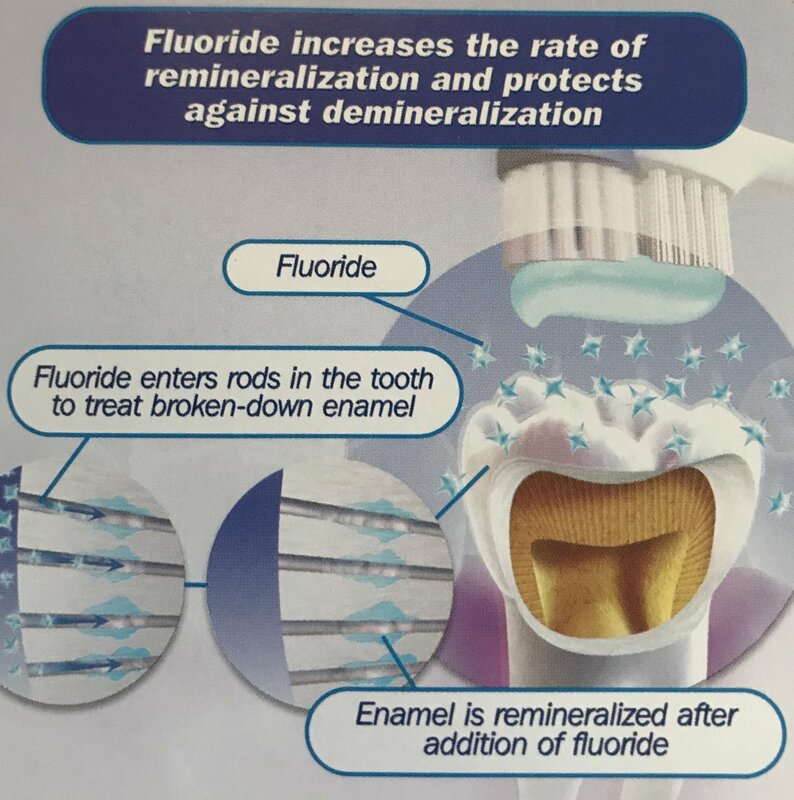 Fluoride can also be applied directly to the teeth at the dental office; children who get their water from unfluoridated sources may be prescribed a fluoride supplement in the form of pills or drops. Well water usually has little to no amounts of fluoride. If your home uses well water, it is recommended you get the water tested for fluoride. If there is little to no fluoride in the well water, we advise you to bring the report in to your next dentist visit, where your dentist may prescribe a fluoride supplement for children until the age of 16.